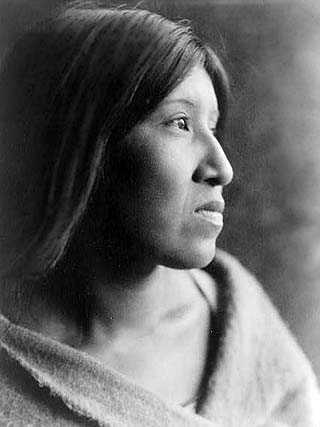 The Cahuilla are Takic [Uto-Aztecan] peoples arriving in southern California about 2,000-2,500 years ago. They were peaceful hunter/gatherer mountain and desert cultures. They ranged over the entire San Bernardino basin, the San Jacinto Mountains, the Coachella Valley, and portions of the southern Mojave. 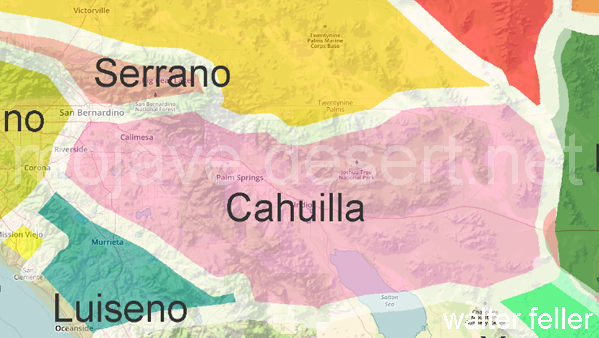 Their northern neighbors were the Serrano, and the Chemehuevi to the northeast. They lived in independent clans of approximately 600-800 people controlling their own separate territories.